Excellent value in today's market. 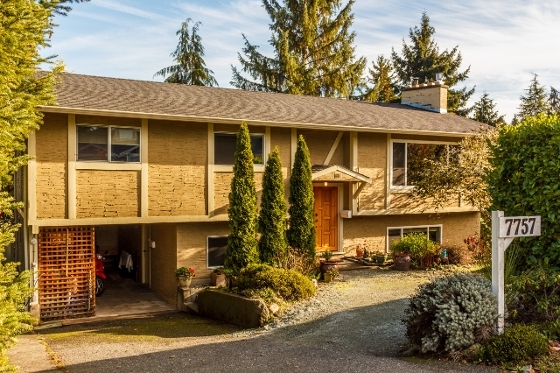 Enjoy this Central Saanich, two level family home with one bedroom additional accommodation. Enjoy three bedrooms on the main floor, updated kitchen plus dining room, spacious living room with rock fireplace with wood stove to warm yourself in those chilly winter evenings, sunroom leading to large sundeck overlooking your private rear yard with fruit trees, large shed and so much more. The lower level offers an updated one bedroom suite which provides for an superb rental accommodation. Gas furnace, vinyl windows, many updates since 2008. Close to all amenities, parks, Airport, ferries, schools and more. Don't miss out! Call Today!